We’re so glad to show you finally the first results of this amazing adventure we had the chance to take part in! Featured in Condé Nast Live! Elba: The Napoleon Experience is a project born with the idea to unite tourism, architecture, art and fashion to promote this magnificent island and its lifestyle. 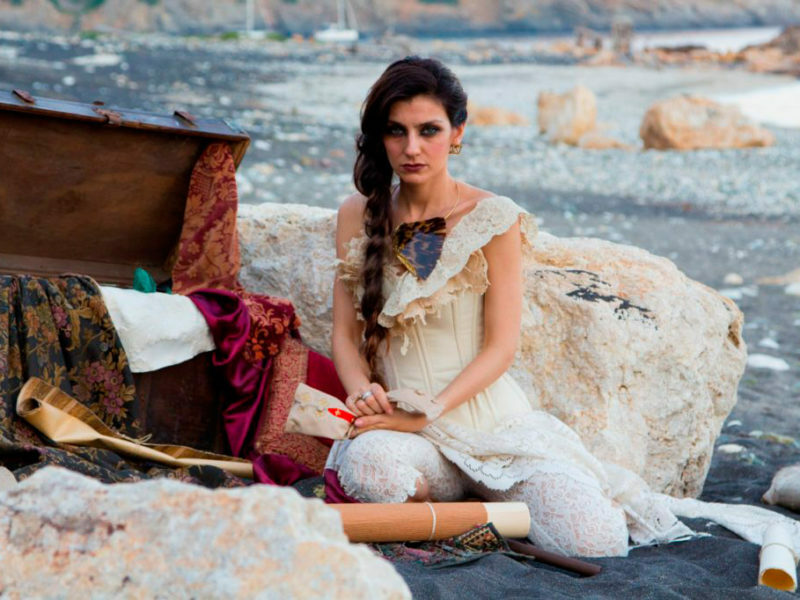 One year ago we were invited to be part of the stylists and bring part of our creations to give the magical and controversial style to Aurora, the Genius Loci of the Elba island. But the most beautiful was to be part of this team of creators and artists, italian famous tailors and having the opportunity to dress italian actors Renato Paioli and Marilù Pipitone. Thanks to AB-OUT (Architectural Bureau – Osservatorio Urbano Territoriale), Visit Elba and sponsors, the You360 team, the NABA team, and obviously all the designers, tailors, jewellers, shoemakers, make-up artists, hairdressers, actors the Ridi Photography team and backstage guys who helped to make this adventure possible.